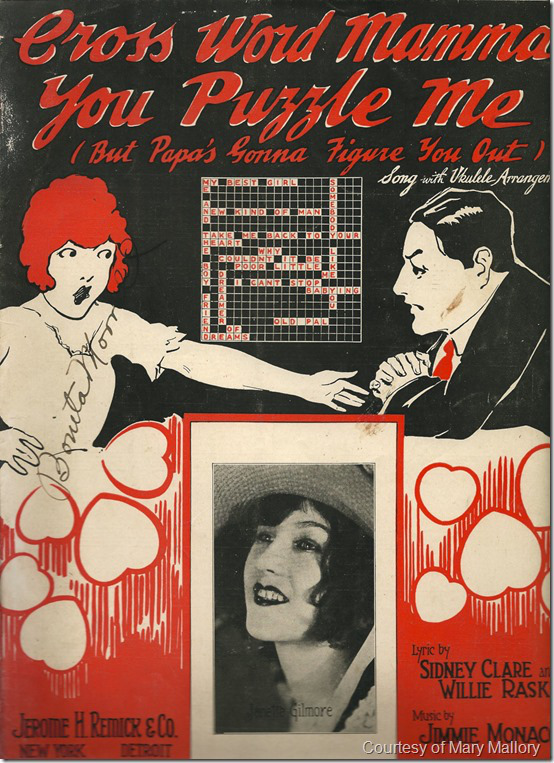 This entry was posted in Games, PuzzleNation, Puzzles and tagged 1924, bert reed, billy heagney, billy jones, blues, bob schafer, but papa's gonna figure you out, cross word mamma, cross-word puzzle blues, cross-words between my sweetie and me, crossword, crossword mamma, crossword music, crossword puzzle blues, crossword song, crosswords, crosswords between my sweetie and me, d.j. 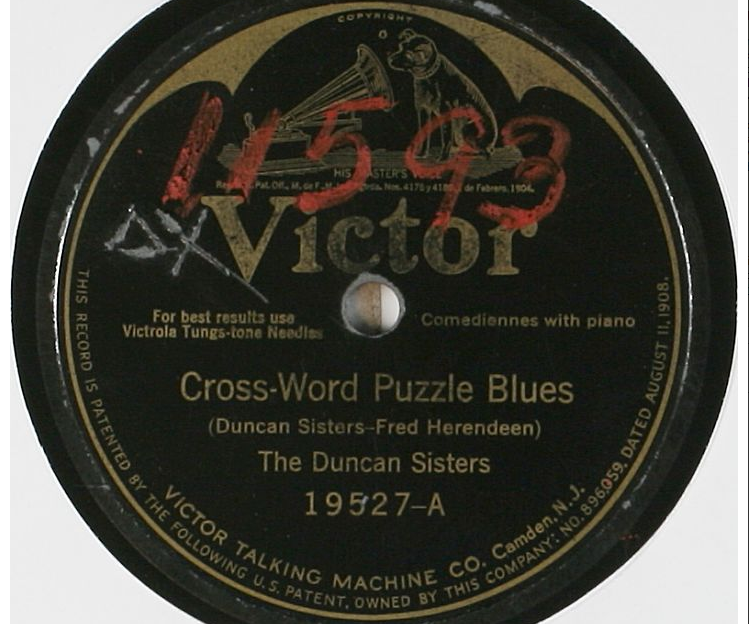 michaud, DIY puzzling, duncan sisters, edison records, frank crumit, fred herendeen, fred steele, games, Geeking Out, i've got the crossword puzzle blues, jazz, jimmie monaco, marguerite bruce, mary mallory, novelty song, Pop culture, puzzle music, PuzzleNation, Puzzlin' fool, puzzly music, sidney clare, ukulele, willie rask, Wordplay, you puzzle me by gmdirect. Bookmark the permalink. 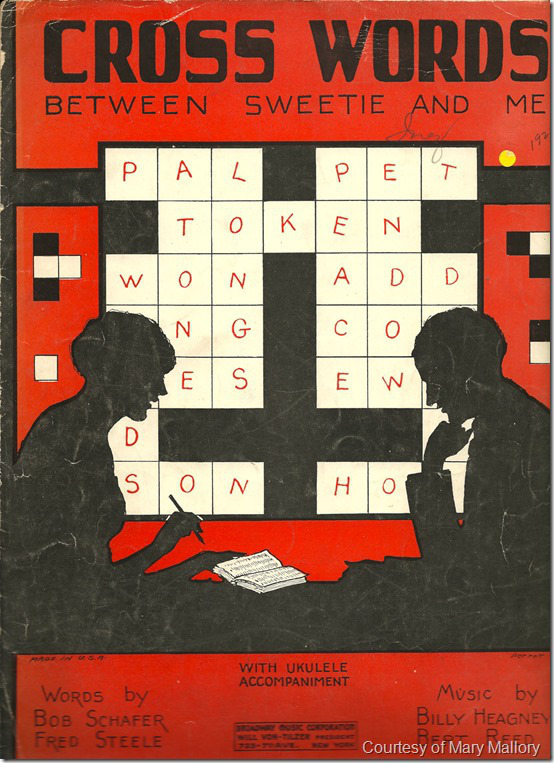 My Favorite Puzzle Nation Blog post ever. So hilariously cute!